Clear stickers have a unique & refined look. 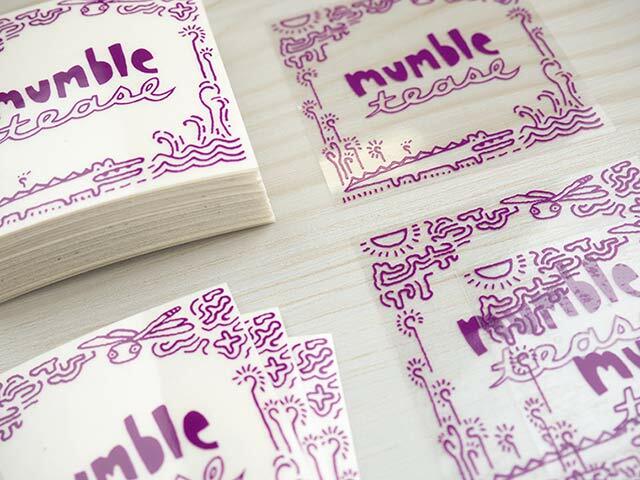 Add a white ink option to really make your design POP! 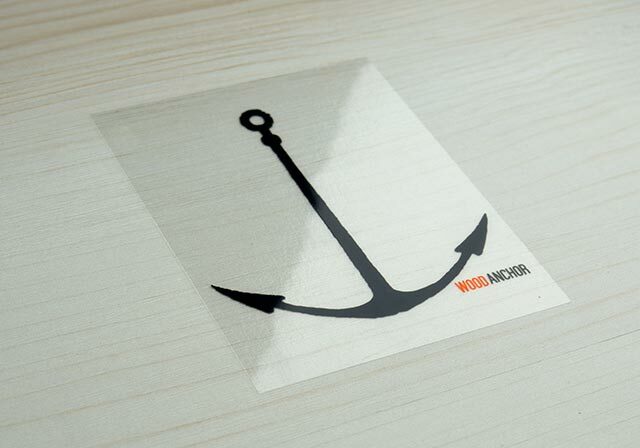 Clear vinyl stickers are great for promotional giveaways & product branding. They are an excellent choice when you want the background surface to compliment your design. 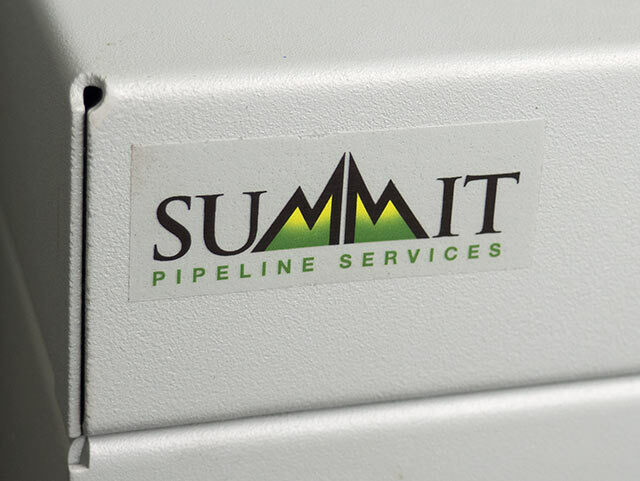 Compared to a white vinyl base, a clear sticker has a more seamless appearance. For a even cleaner finished look, add a contour cut. Another common use is for window & glass application. 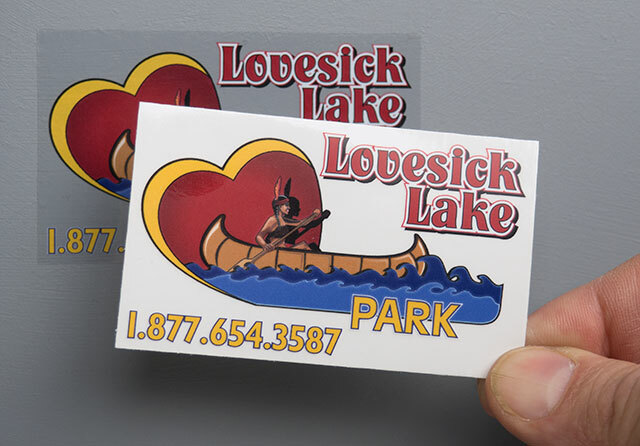 Clear stickers are often used for retail display, & storefront promotions , or for vehicle windows. Please see our Window Sticker page for more details. 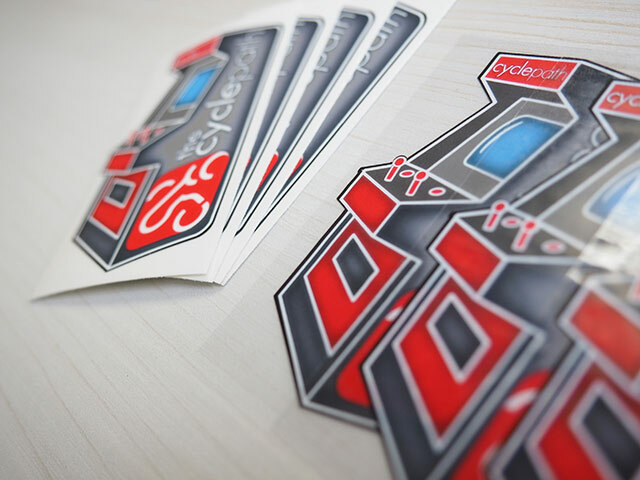 There are 3 different ways we can print your clear vinyl stickers. Please specify when ordering. If you are not sure, we'd be glad to help you out with your choice and your artwork setup. No worries here! We'll get it right. Full Colour with White Behind Print - This is our most popular type. White prints behind the full colour print. This makes the colours pop, even when placed on a dark surface. The white ink helps to keep the colours vibrant. 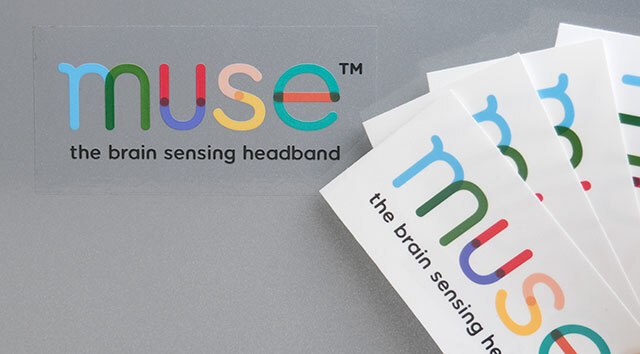 Full colour printing inks are transparent, so without the white underprint, the colours would look muddy when you place the sticker on a dark surface. Full Colour with Spot White - Process is the same as above, but with the addition of areas of white only - "spot white". 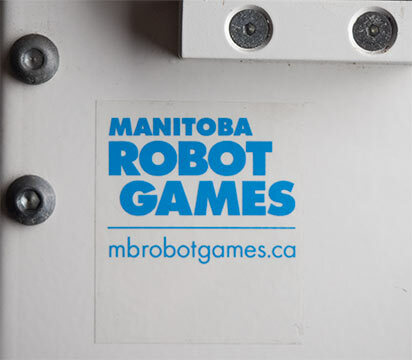 For example, a sticker might have a full colour image & white text. Full Colour - Transparent - Prints in full colour on clear, without any white. On a window the effect is like stained glass. Light goes through the transparent inks. However, if you place the sticker on a coloured background, it looks washed out and dull. Regular Adhesive - All purpose, "permanent" adhesive. For long term use where you do not want the sticker to come off. If needed, they can still be removed with some elbow grease, and they might leave some residue on the surface - Which can then be cleaned off with more elbow grease and some windex! Removable Adhesive - Low Tack Vinyl. The low tack adhesive allows you to remove the sticker without leaving any adhesive residue. You can also easily reposition the sticker, but it is not meant to be resused/reapplied repeatedly. Great for short term promotions indoors & outdoors. Static Cling - This type of "sticker" does not have an adhesive. It clings by static electricity. It is a thicker vinyl material, that can be a challenge to mount bubble free, unless you wet apply. 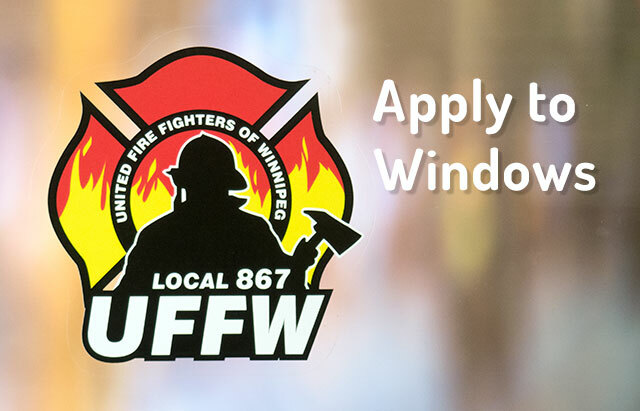 Frequently used for retail window displays and vehicle window stickers. Aggressive Adhesive - Designed for hard-to-stick surfaces like stainless steel and low surface energy plastics. Very sticky and difficult to remove, once it has set. Clear stickers do exhibit minor imperfections from the adhesive. If this is a concern, contact us about optically clear vinyl options. Please feel free to contact us about artwork requirements when setting up white print options.